Say goodbye to unaccounted transactions. 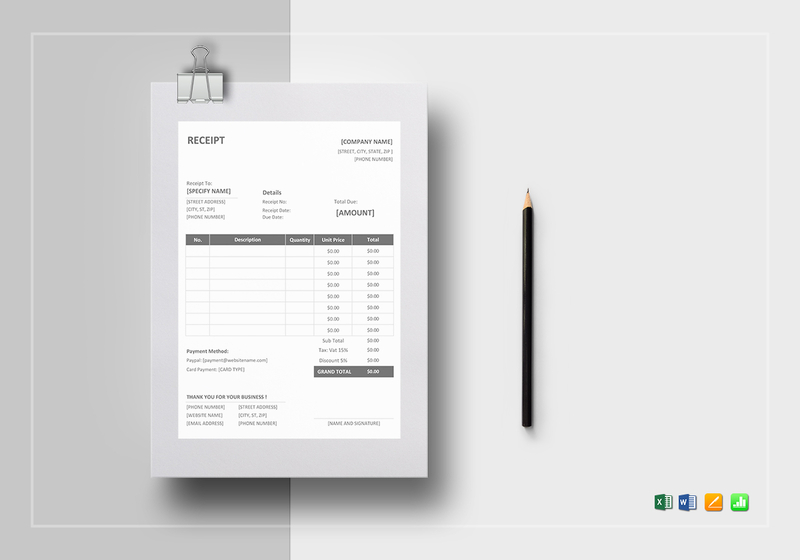 This fully customizable Simple Receipt Template is well suited for your business needs and can be edited with your favorite app supporting MS Excel, MS Word, Numbers, and Pages file formats. 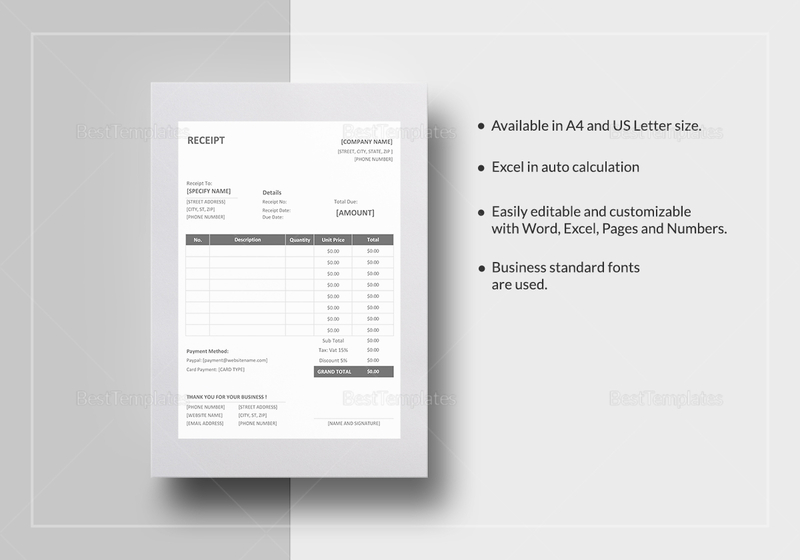 Instantly download this template available in A4 and US letter sizes.